Confession: I’m 26 years old and way too invested in the characters’ lives in Girl Meets World. But isn’t that a sign of a great show? I grew up with Cory and Topanga and have seen and loved every single episode of Boy Meets World. When Disney announced they were creating a spin-off, I was pessimistic. The quality of Disney Channel shows haven’t matched my viewing standards in years, and well, I was afraid that they would over-simplify the parts that made Boy Meets World so good. The word “zany” comes to mind when I think of Disney Channel’s live action entertainment. I was worried that Girl Meets World would be too incredulous to be relatable. Season one of Girl Meets World seems to begin that way. The girl who meets the world is Riley Matthews, daughter of teacher Cory and lawyer Topanga. She lives in New York City with her family. At first, I couldn’t stand how over-the-top the characters were, seemingly caricatures of the original show’s characters. But after the first few “zany” episodes, the series slowly began to morph into something more confident. It found its focus and started utilizing it in the right way. That focus is Riley and Maya’s friendship. With exception to the first couple seasons, Boy Meets World was wildly centered on the ups and downs of Cory and Topanga’s romantic relationship. Girl Meets World has its fair share of boy troubles, especially recently, but the show’s heart is the friendship between Riley and Maya. The bond they share is enviable. They’re sisters who chose to be sisters. They’re soulmates in every sense of the word. As I watched more of the show, I became more fascinated with their dynamic. The show further developed their personalities and gave Maya some much-needed back story. The reintroduction of Shawn Hunter into the Matthews’ lives played into the storyline predictably but perfectly at the same time. This past Friday, “Girl Meets the New Year” aired and left the friends in quite the emotional pickle. For weeks, there has been underlying tension between Riley and Maya over their feelings for Lucas. Both girls like him, and he seems to like both girls too. They’re young and confused. I have to admit that watching them try to sort out this dilemma is a bit of a heartache. I feel for them. However, it has been a long time coming. Ever since season one when I noticed how much Maya teased Lucas, I had a feeling she liked him a lot more than she let on. Riley can be adorably oblivious sometimes, but she is becoming more observant as she gets older. That became obvious in the “Girl Meets Texas” episodes. What does this boy drama mean for these friends? Everything. The show isn’t about who ends up with Lucas. It’s about if Riley and Maya end up okay after they sort out their feelings. That’s why the ending of the last episode was rough. We’re worried about how Riley and Maya are going to pull through this next big stage in their life. Because friendships are just like relationships; life can transform them. Not knowing what is to come for their friendship is tough to swallow. I can get in fandom fights all day over “Rucas” and “Lucaya,” but really, it’s Riley and Maya who we should be rooting for. Because if one of them do end up with Lucas, it won’t be okay if they’re not still friends because of it. There’s no getting around that. I appreciate the writers taking their time with the show. As an older fan, I was impatient in the beginning, waiting for old character cameos and more Cory and Topanga moments. Sticking through it, I started to care about this new generation of kids trying to understand their place in the world. I realize that even though times change, there is a lot that’s still the same. I got the chance to truly become invested in Riley, Maya, Lucas, and Farkle. Once I started caring about them, those long-awaited cameos came along, and seeing characters that once meant a lot to me interact with new characters I’ve come to love made it all the more special. There’s also a confidence to the show’s writing that makes it stand apart from many multi-cam sitcoms even outside of Disney Channel. Only because it’s a show aimed at pre-teens doesn’t mean it’s not enjoyable to older audiences. Female friendships portrayed on television are a rare thing. I talked about it briefly in my review for (a very different kind of show) Jessica Jones, and I’m discussing it here because it’s important. It’s even more important now that a boy has become between them, and I want to see them pull through. I want Riley and Maya to spend some more quality time at the bay window and realize that they are the two people that connect the world together. Girl Meets World isn’t just about Riley navigating through life. It’s also about Maya, how two different people can be so in sync, and whether the power of love (not always the romantic kind) can trump whatever life brings at you. That was the moral of Boy Meets World. 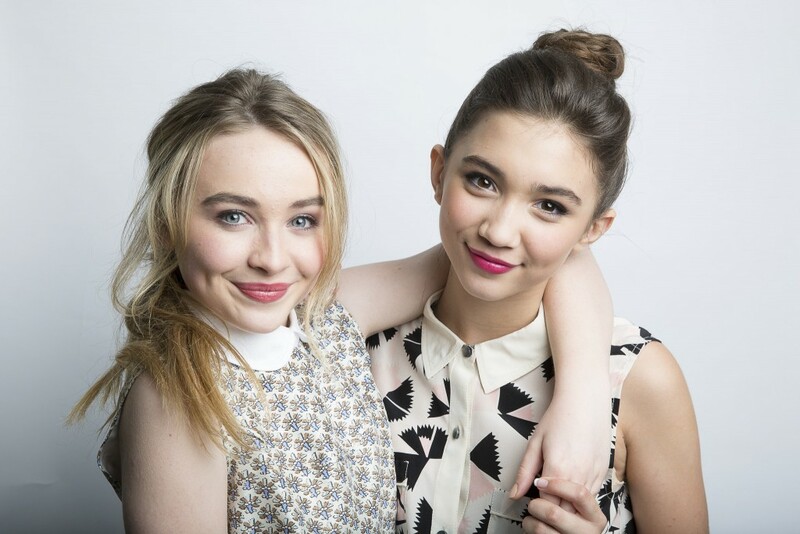 In the form of friendship, the same message of love thrives in Girl Meets World. 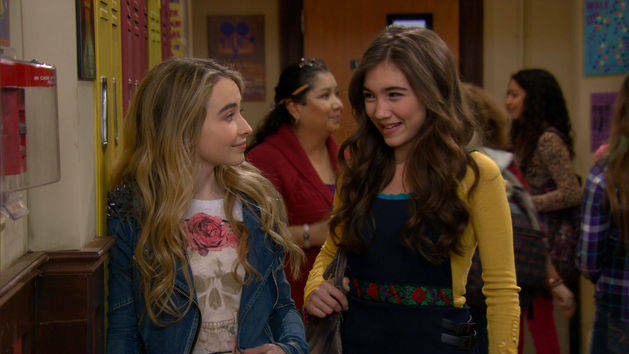 Girl Meets World is currently airing season 2 on Disney Channel. Season 1 is streaming on Netflix.